Above: House of Mercy, Horbury. Picture courtesy of Anthony Oldroyd. The House of Mercy, Dovecote Lane, Horbury is located in an elevated part of Horbury, adjacent to Horbury Cemetery and was founded in 1858 "for the reception and protection of women who had led unchaste lives, with a view to their reformation, either in some reputable calling by which to earn a livelihood, or otherwise.1"
The idea of establishing a place to house those who needed "rescuing from sin and destruction, the increasing multitude of fallen women", can be traced back to one person. A lady who expressed a long held "anxious desire" to do something practical to deal with this ever increasing Victorian problem. Henrietta Louisa Farrer, later the wife of Rev. Henry Sidney Lear, Bishop of Salisbury, was that lady. A cousin of the Incumbent of Horbury, Canon John Sharp, she came from Clapham, North Yorkshire. Born in 1824, the daughter of James William Farrer and The Honourable Henrietta-Elizabeth Scott, her grandfather was the 1st Earl of Eldon, Lord Chancellor of Great Britain. Henrietta Louisa was not your ordinary Victorian lady. She was the author of several books and for the time, quite a popular writer. Along with some of her personal friends she soon had sufficient money available to realise her dream. Permission was given by Canon Sharp to commence her project in Horbury, and a rented cottage on Millfield Road was secured for the purpose. On Maundy Thursday 1858, the first 'penitent' was brought to the Home by her own father. Only the previous day, a Mrs Terry had taken up residence in order to receive the girl. On the 12th April, she was joined by Sister Emily of the Community of St Michael, Bussage, and on 30th April by Sister Emma from Oxford. Seven more girls were admitted one by one and the Home was full. Towards the end of the following year the cottage adjoining the Home was purchased and connected, to provide accommodation for seven more girls. The Church Penitentiary Association gave a grant of £60 towards furniture & fittings. 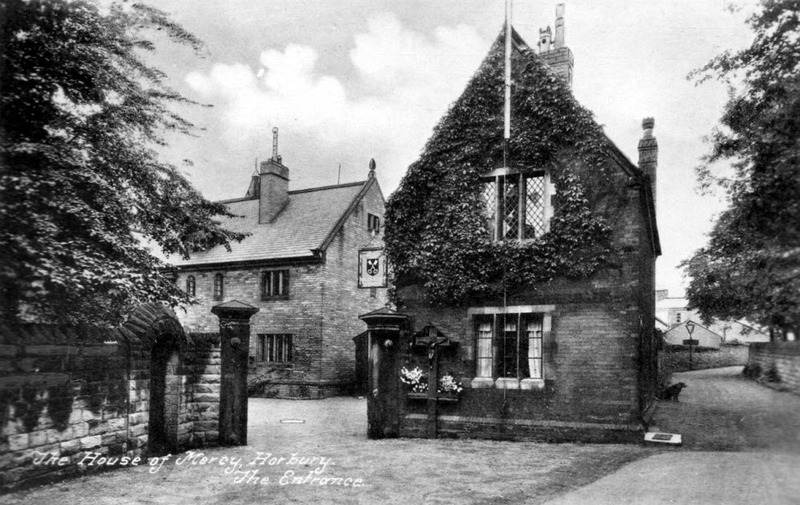 The original institution at Horbury consisted a Visitor (The Bishop of Ripon); a Warden (The Rev. J. Sharp); Superior Sisters; a Council; Trustees and two Treasurers. The Sisters were of two distinct classes: those fully admitted after probation and Sisters probationary. The Sisters had to be members of the Church of England and, if under the age of thirty years, have the written consent of their parents, before admission to the House. Besides these Sisters, several ladies worked at the Institution as Associates and they assisted the nuns by collecting alms (money, food, or similar items given to the poor as a charitable act); finding work, situations and the means of livelihood for the women penitents at the House of Mercy. With the High Anglican Oxford Movement in full swing in England in the 1860s, a great many upper and middle class single women found an outlet for both their religious fervour and their desire to help others less fortunate by joining together into sisterhoods and entering into communal living. One such woman was Minna Gwynn, from a well-to-do English family living in Reading who joined the Horbury House of Mercy as an Anglican Nun in the 1860s and became the Mother Superior of the House by 1891. On 31st December 1859, £1,000 had been invested in a building fund, which was set up to raise money to erect suitable long term buildings for a permanent Home. "The House has always been completely full, in fact, very inconveniently crowded; for, whereas, there is only proper accommodation for thirteen, there have been fourteen throughout the year. Five have been sent out, and five others admitted; in addition to which thirty-one applications for admission have been rejected for the want of room. The following is an account of those sent out: one returned to her friends; two sent to other Penitentiaries and two sent to service." On the 27th March 1862, Canon Sharp told the Council of the House of Mercy that a plot of land had been bought for £600. This was a site of 4 acres, which had been occupied by the Horbury Allotment Society. Plans for a new House of Mercy and costings had been prepared by Mr Henry Woodyear, the architect of similar Houses at Clewer and Ditchingham. Sufficient funds were in hand to commence the north and west wings plus the water tower. This was approved by the Council. Above: Horbury House of Mercy circa 1864. This view across the fields comes with kind permission of Sister Robina. The foundation stone was laid by Dr Bickersteth, Bishop of Ripon, on the 19th July 1862. The new House of Mercy was opened on 14th September 1864. A fortnight later, the whole household moved in to the new buildings. At the same time a hospital block was built with money provided by Rev John Keble, author of The Christian Year. It could house six patients. By 1868, the number of penitents at the House was 46; in 1869 it was 49, of which about half were from outside Yorkshire. In 1870, it was stated that the new buildings were capable of containing 80 inmates and at that time the managers intended to add to the buildings to be able to take in twice as many. 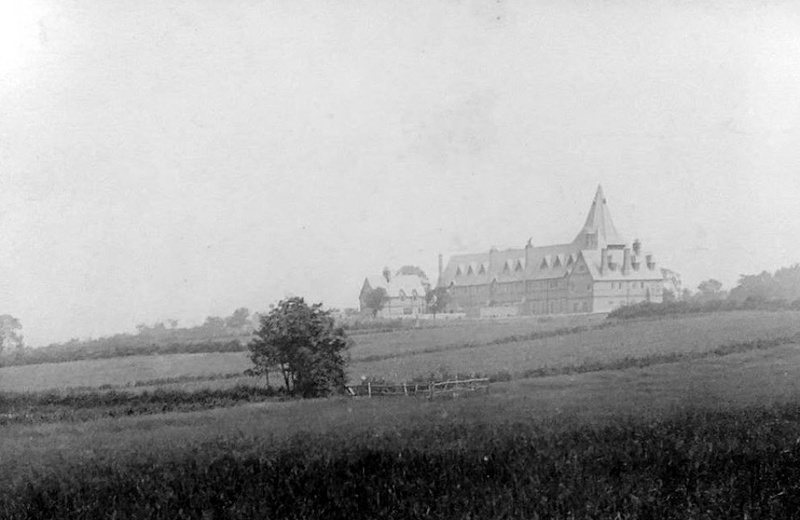 The total cost expended on the building extensions was £10,000, a large sum in those days, whilst the current yearly expense of maintaining the establishment was in 1868 about £865, and in 1869 about £970.2 These costs and the cost of extending the Horbury House of Mercy came from voluntary gifts. On 4th August 1870, the foundation stone of the chapel and south wing was laid by the Earl of Beauchamp. The debt on the first two wings having already been cleared. The blessing of the completed chapel took place on 28th November 1871. It was solemnly dedicated to God's service under the name 'The Chapel of the Holy Cross'. 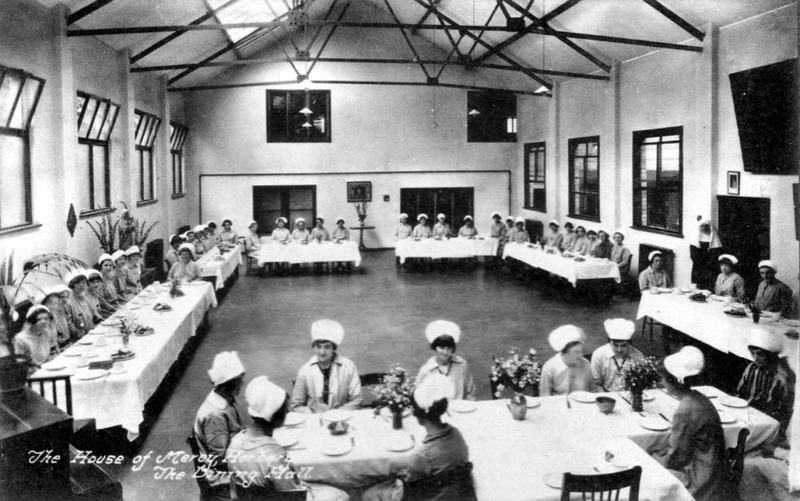 The Superior's room, the community room & the refectory were also blessed. A dormitory, which had been used as the chapel up to this point, was quickly furnished, after which the House could accommodate 50 girls. From the earliest days of the Community, Canon Sharp had insisted that the Liturgy & the Divine Office were of primary importance and so the first sisters, faithful to this ideal, laid the foundations of the Community's spiritual life. Drawing their inspiration from the Sacraments and in a spirit of love, they undertook the work of spiritual and moral restoration of the girls in their care. 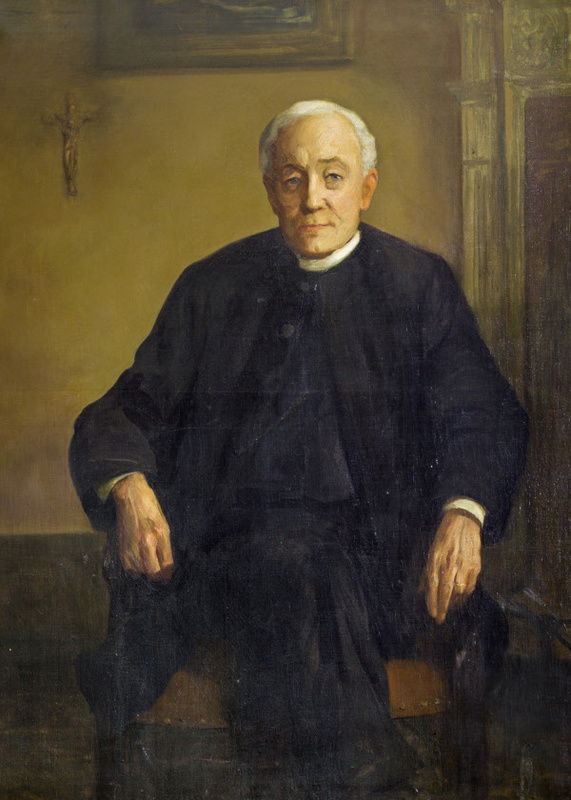 Above: Portrait of Canon John Sharp, which hung in the old convent until its closure by kind permission of Father Christopher. "Mrs. E. Leatham of Wentbridge had interested herself in getting a young girl named Emma Moss, deserted by her father, into the Horbury, House of Mercy. The young girl who is only sixteen years of age, since her admission to the Workhouse, has become a mother, and will be the subject of Police Court proceedings against her own father. The Board, in acceding to the girl being taken from the Workhouse, thanked Mrs. Leatham for her kindness." Messers Fallas and Chappell of Horbury were engaged to build new laundry buildings. But by 1893 it was necessary to build an even bigger laundry, due to the amount of work to be done. 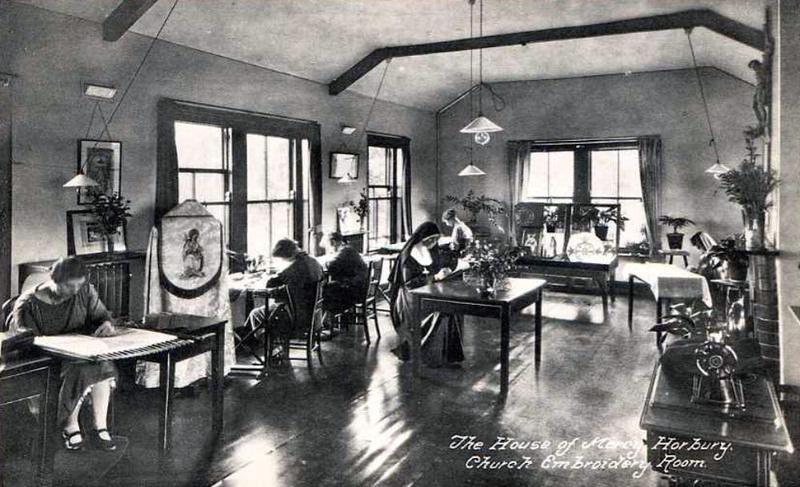 In 1908 the Golden Jubilee of the Community & the House of Mercy took place. The council decided to celebrate it to some extent in memory of Canon Sharp, who had died in 1903, by unveiling a plaque in the chapel. The 'Canon Sharp Memorial Fund', established in 1904, stood at £1,515 9s 6d. This was for the endowment of the chaplaincy of the House of Mercy, as per his express wishes. In May 1880 a small High School was built in the garden, at the cost of the sisters. By 1884 there were 50 pupils and by 1902, a house was bought adjoining the Convent grounds to house boarders. Both the school & this house were greatly enlarged in 1908 but closed in 1914. With the second World War came major changes for the House of Mercy. The number of girls coming to the House, which for 84 years had been a voluntary act, declined steadily & by the end of 1949 the Approved School was discontinued. In its place a boarding school for 'maladjusted' children aged 11 – 16 was established. In 1950 it opened with only 2 girls. Also in 1949, a Preparatory School was opened in the same buildings as once housed the High School. This was dedicated to St Hilda. It eventually became part of the Silcoates Foundation in 1993. The nuns at the House of Mercy lived according to their own rules and within their own hierarchy. They produced a great deal of embroidery: their work on banners - including those for Trade Unions - continued until 1995. The influence of this sisterhood spread: by 1920 there were 70 nuns at Horbury and they ran activities in various cities. They visited women in prison and ran a school, which by 1913 was in Whitby. From 1928 Horbury nuns also ran a hostel for pilgrims at the Walsingham Shrine and from 1924 three nuns were attached to Wakefield Cathedral. 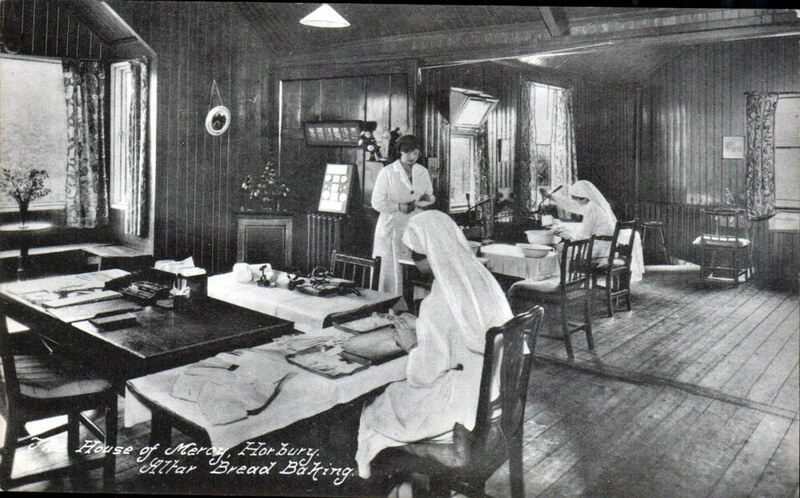 In 1930 the new abbess, Mother Sarah, introduced stricter rules for the convent at Horbury: no-one could eat until after 12 noon and services were to be in Latin. The nuns at the Cathedral complained to the diocesan clergy and a disagreement between Sister Sarah and Bishop over the provision of chaplains sparked Sarah's departure from Horbury with those nuns who supported her. They settled in London and continued to service the Walsingham hostel. 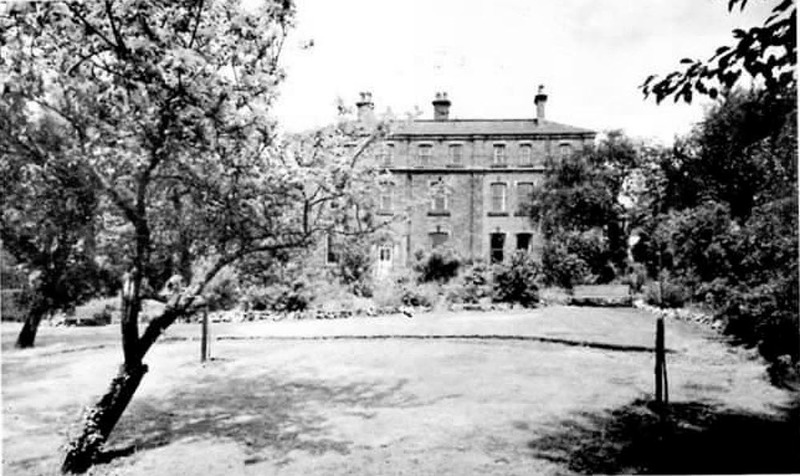 The remaining nuns were too few to maintain the House of Mercy which closed and numbers have continued to dwindle so that the sisters now have a house at Hall Cliffe in Horbury. 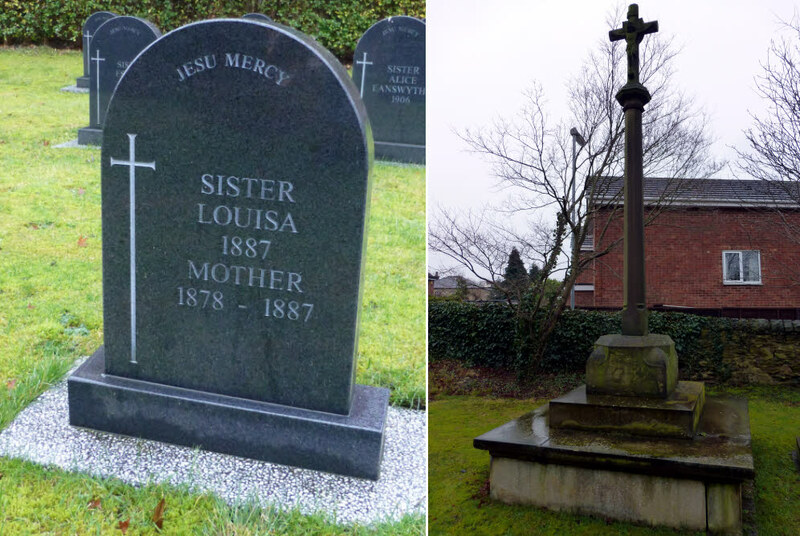 Above: Mother Louisa’s grave and the the tall cross which was given in honour of her. She was the first to be interred in the private graveyard within the grounds of the Horbury House of Mercy. The last Mother of the Community was Mother Robina, who entered the Convent in 1971. As a former member of the congregation at Wakefield Cathedral in the 1960s she was acquainted with the Sisters at the Mission House. Teaching at St. Hilda’s School for 13 years, she was promoted to head teacher. In 1993 she was elected Mother, retiring in 2014 after 21 years. The Community is the first Anglican Community to have a joint leadership. At the start of 2018, there are only 6 Sisters, in the Community. Mother Robina remains with the other 5 Sisters in their currrent home at Spring End. As the complex was expanded and developed in the 20th Century, it included a convent, a chapel, a hospital and a retreat for the clergy. Subsequently, the House of Mercy was renamed as St. Peter's Convent and a private preparatory school, dedicated to St. Hilda, was opened in 1949. 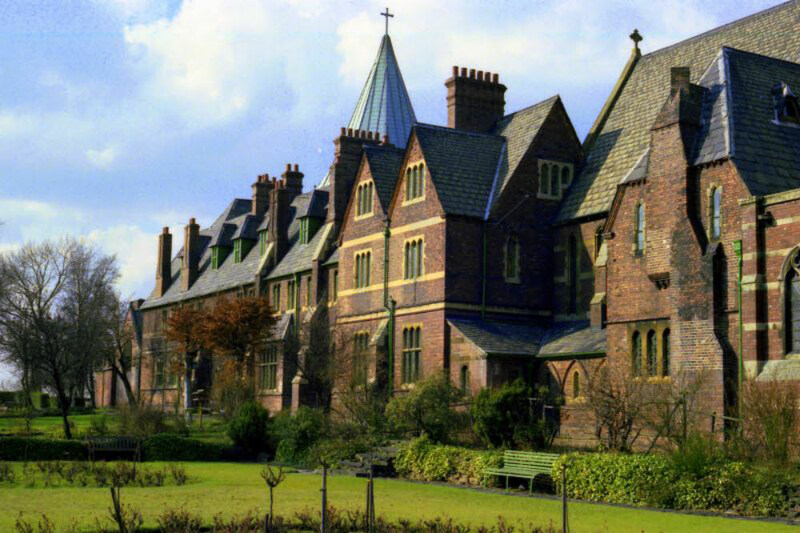 St. Hilda's school became part of the Silcoates School Foundation in 1993. Above: Horbury Houses of Mercy circa 1960s. Thanks to Anne-Marie Fawcett for the picture. In 2015, the Witherslack Group opened the independent Hall Cliffe School in parts of the old House of Mercy. Hall Cliffe School provides specialist education for young people with complex learning needs between the ages of 8 - 16 years featuring small classes (maximum 8) with a high staff to student ratio. In 1994, John Kirby, on behalf of the Kirby family purchased the convent from the nuns and agreed, as part of the transaction to renovate a property on land adjoining the convent, that the nuns referred to as the "Retreat". After the renovation was cmpleted, the nuns moved into this property and it became known as the "Convent", not to be confused with the Old Convent, which they vacated and which is a listed building. St. Hilda's school remained in the old building, but was used for wedding receptions and formal dinners at weekends. The Witherslack Group now rent the entire building and the bar area used for catering were removed and unfortunately, the fine old Convent building is no longer available for public functions. 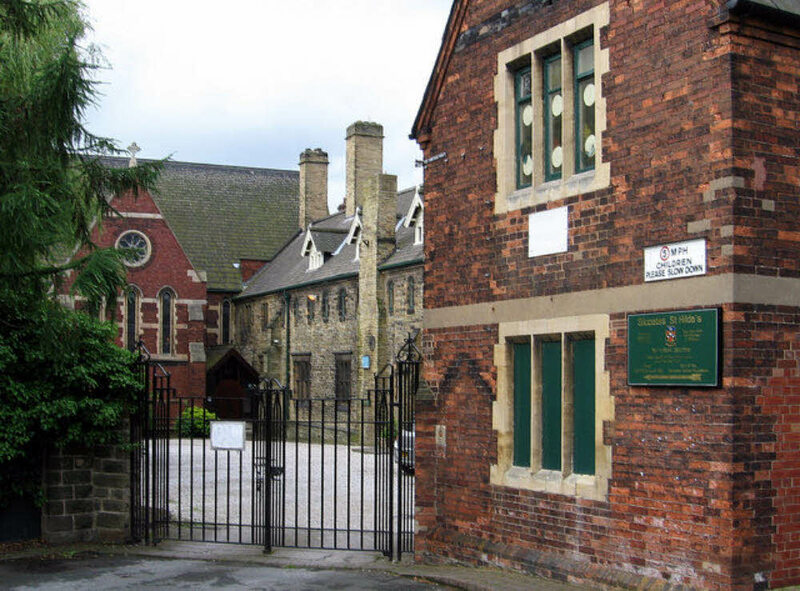 Above: St. Hilda's School, Horbury formerly the House of Mercy. Picture courtesy of Anthony Oldroyd. St Peters Convent Chapel is a Grade II listed building dating from 1869/71 and was designed by Henry Woodyer. 1. "The English Church Union Calendar: An Ecclesiastical Almanac for the Year of Grace 1863"
5. "The Community of St Peter, Horbury 1858-1958"